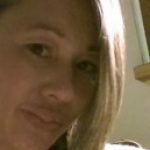 Main › LifeLeap Café › Free Psychic Questions › Will we reunite? My ex-boyfriend and I have been on again, off again for the past 9 years. When we first met 9 years ago we were both married and the timing was just not right and we knew it. Since then, we have both ended our marriages. Last April we reunited and picked up where we left off. We had a good friend of his who was extremely jealous we were together. He never had anything romantic with her and I trust him completely when it comes to her. He ended all communication with her last June after causing so many problems. Unfortunately, I couldn’t let it go. We ended things in February of 2017, but still communicate via text a few times per week and see each other a few times per month. Last week, we went out on our first “date” since November. We had a great time and talked on Friday and Saturday. Since Saturday he hasn’t really responded to texts. I would like to know how he truly feels about me and if we will really reunite. I see that things will continue just as they have been. This has been going on for some time and the pattern is very well developed. Your still on his mind but it’s so easy to come in and out of your life that it’s just something that happens if you like that kind of thing. Im seeing him with an interest in someone right now. Your not off his plate, when the long run is concerned only because of the developed ongoing relationship that you’ve had but I feel that he is personally looking for a love interest and you happened to be on that agenda for now. When someone stops answering your texts that does indicate some disinterest. And I do feel that he had another love interest.